The House passed a controversial Senate version of a Houston pension bill, angering firefighters. But in Dallas, leaders appear to have coalesced around a bill that once divided the mayor and first responders in that city. Meanwhile, Dallas leaders appear to have coalesced around the Senate’s version of that city’s pension bill. Both cities have experienced bruising battles over their respective legislation this session, bills aimed at shoring up billions in shortfalls. At a news conference in Houston, Mayor Sylvester Turner called the passage a “celebration” for the city. Turner made overhauling the pension funds a top priority after he took office last year. He spearheaded efforts with all three pension funds and state lawmakers to craft this session’s legislation. 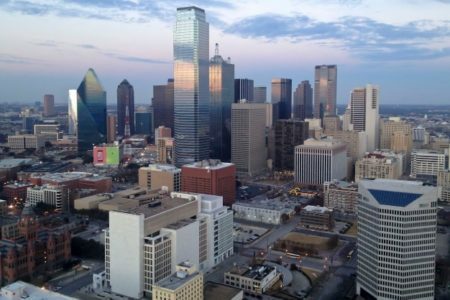 Meanwhile, Senate changes to legislation aimed at fixing Dallas’ troubled police and fire pension fund seemed to ease tensions between city officials and pension leaders in that city. The Senate on Tuesday unanimously approved House Bill 3158, with provisions that will allow the mayor to appoint a majority of pension board members, change how the city’s contributions are calculated after 2024, and require super-majority votes on major changes to benefits and contributions. Flynn, who authored the bill, supported those changes and isn’t expected to oppose them when they come back to the lower chamber. Those changes also garnered support from Dallas Mayor Mike Rawlings, who had initially opposed the bill amid anger from first responders in his city. “Has there been distrust? Yes,” Dallas Democratic Sen. Royce West, who carried the bill in the upper chamber, said on the Senate floor Tuesday. But West also said that most first responder associations still support the bill with the Senate’s changes. West, Flynn and Sen. Don Huffines, R-Dallas, praised each other for getting the highly personal and politicized legislation close to the finish line. “This is yeoman’s work,” Huffines said.